And so go the immortal words of Tony Stark in The Avengers. I found myself mulling these words over the other day as I decided what to have for lunch. I am incredibly fond of Middle Eastern food of all types, so while standing in the middle of Studio City and trying to figure out a place I hadn’t eaten at before, Stark’s words hit me like a ton of tabouleh. Amir’s Falafel is stuck in a tiny shopping center at the corner of Colfax and Ventura, right across from the excellent Jinky’s Cafe and right next to Subway. Don’t be distracted by the bigger names nearby though, this restaurant is so worth your time. I was hard set on a shawarma sandwich even though every option sounded delicious. No matter the protein you choose, each sandwich was packed with lettuce, tomato, pickles, cucumber and tahina sauce inside of a delicious and soft pita. When I say packed, I’m not exaggerating either. This sandwich is a beast and fill easily fill you up. Though I’m not going to lie, the options for sides all sounded excellent. 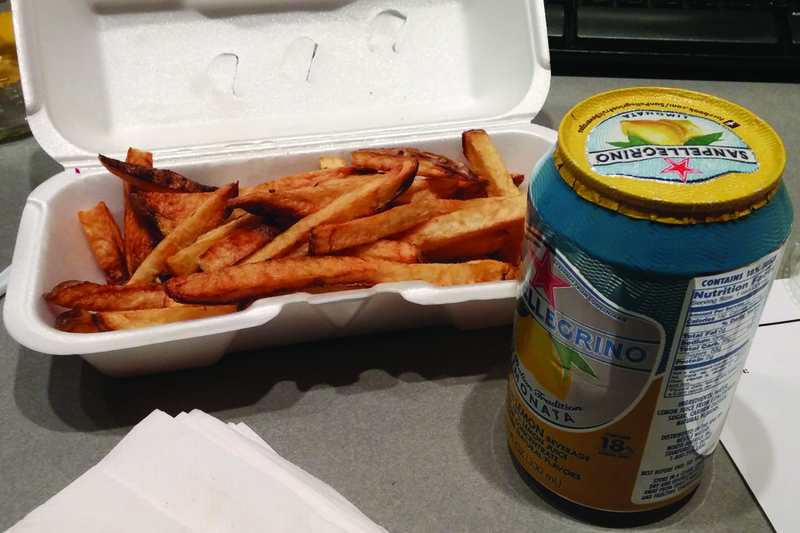 Despite the idea of falafel as a side, I just went with some delicious, just-out-of-the-fryer French Fries. 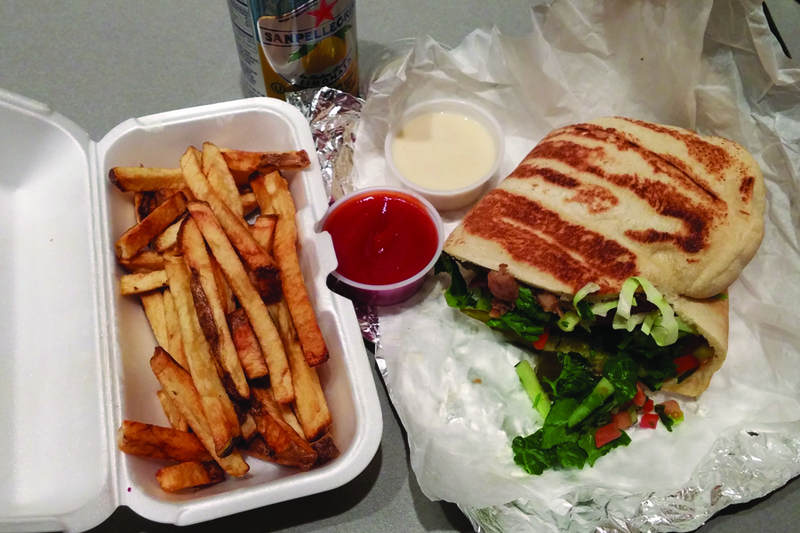 The sandwich was delicious and is one of the best shawarma sandwiches I have ever had. 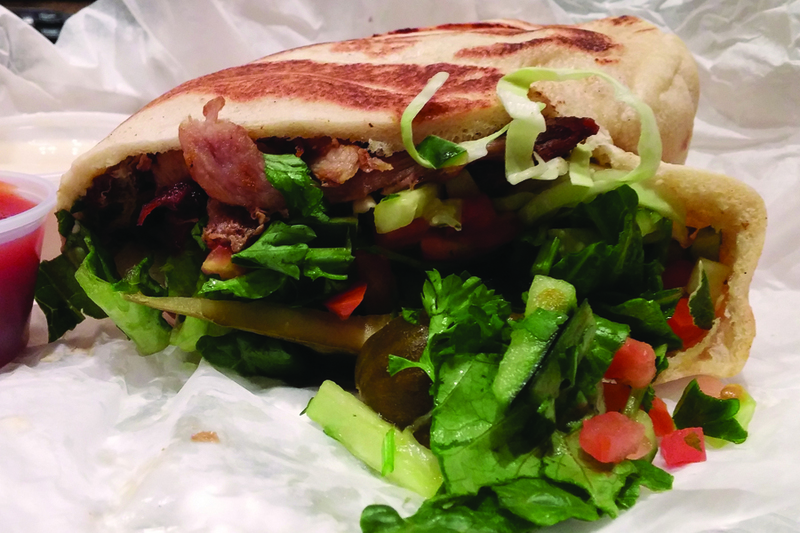 The salad fixins inside of the pita were crisp and fresh, contrasting with the savory, and in spots crispy, shawarma. The meat was delicious, lightly seasoned with a mild flavor that still held its own against the large portion of greens within. I also went with the addition of hot sauce which brought a little bit of a spicy kick, though not too much for those afraid of heat. It was just enough to be noticeable without coming close to burning my mouth. 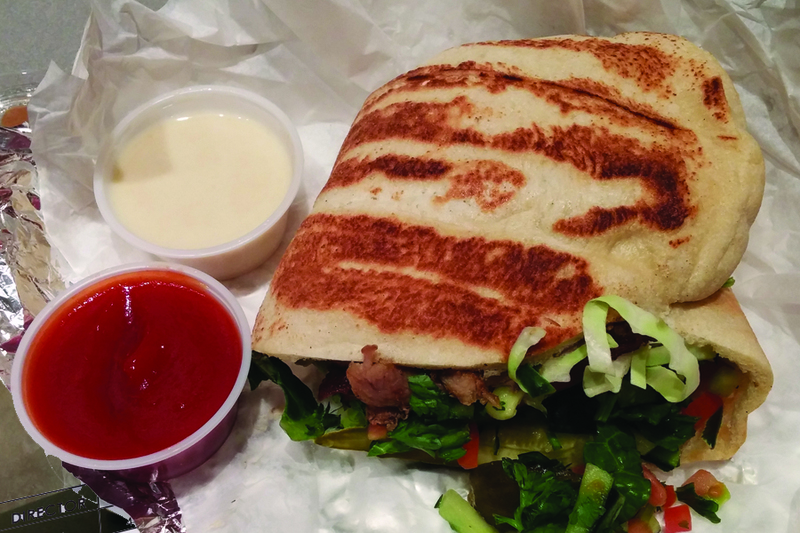 I loved the crispy parts on the meat, every so often it added a little bit of crunch to contrast the softer interior and the deliciously soft pita. Speaking of which, for something so simple, which held so much inside of it, the pita held together until the end. Worthy of a Post-Invasion Meal? 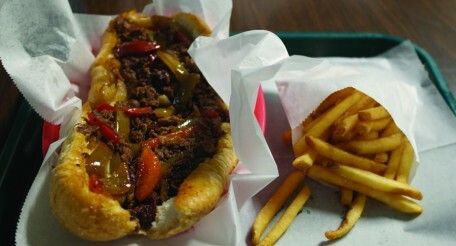 In Los Angeles we have a number of Middle Eastern restaurants but that doesn’t mean every one is a winner. With a sandwich like shawarma, it looks like an easy sandwich to make on the surface, but the blending of the right flavors and amounts really takes a crafty hand. Amir’s Falafel has that hand and another one to high five your tongue with flavor. Definitely make this a place to stop at if you’re looking for a place to eat for lunch in Studio City. Or you know, if you just finished saving the world from an alien invasion.